Helicopters and skilled pilots play a crucial role in keeping the country plugged into the electrical grid. 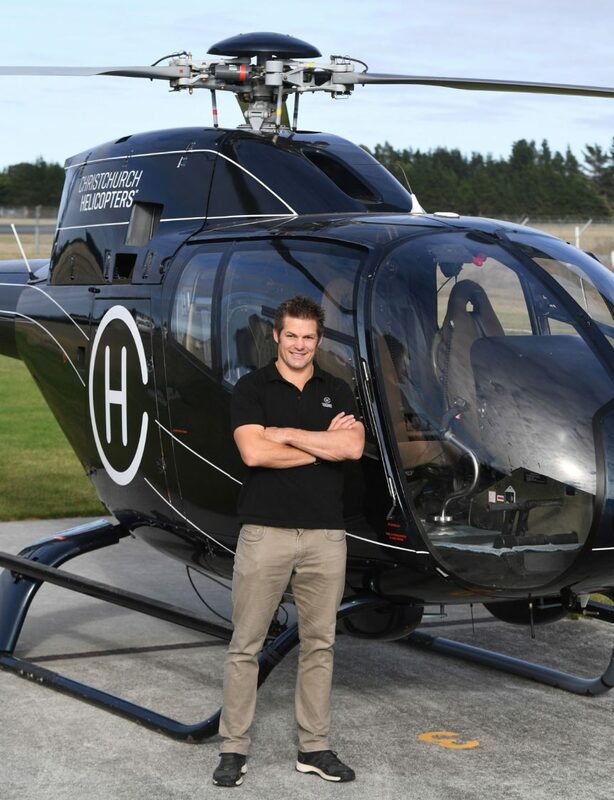 That will be demonstrated by none other than Richie McCaw of Christchurch Helicopters at the opening of the 2018 Annual Connection event. Annual Connection, which this year will run from October 2-4 at the Airforce Museum in Christchurch, is a showcase event for New Zealand’s energy sector, organised by Infrastructure Industry Training Organisation (ITO) Connexis. Richie will officially launch this year’s competition portion of Annual Connection in his capacity as a pilot with Christchurch Helicopters, showcasing how crucial helicopters are when it comes to repairing and maintaining the energy network. Connexis Chair Frances Hague says having Christchurch Helicopters and Richie demonstrate how his helicopter pilot skills are put to good use by the electricity sector will guarantee the 2018 Annual Connection will literally be off to a flying start. Another high-profile Canterbury sporting legend, Super 15 coach Scott Robertson, will also be in attendance as keynote speaker at the Excellence Awards dinner, which will wrap up the event on the evening of October 4. “Annual Connection is a key event for us and for the energy sector. Having people like Richie and Scott on board this year is fantastic, and should draw a good number of spectators,” Frances says. The main focus of Annual Connection, now in its 17th year, is three days of intense line mechanic and cable jointer competitions, with entrants from companies around the country. The event also features a large supplier expo, before culminating with the industry’s Excellence Awards on the final night. “The event is a unique opportunity for the industry to really show off its expertise. The competitions really encourage our people to perfect their skills and take pride in their work,” Frances says. Annual Connection offers plenty of recruitment opportunities as well, Frances says. “School leavers or anybody considering a career in the energy sector can see first-hand just what the work involves. The iCareers Hub will be set up at the event and a careers team will be on hand to answer any questions and to guide school or tertiary students interested in a career within the industry. This year, nine entrants will compete in the line mechanic competitions, while eleven individuals will compete in the cable jointer competitions. Events include a pole top rescue, team building and first aid competitions. A VIP-hosted session is also available for other event attendees, so they are across what’s happening in the competitions, and can be introduced to any key supplier contacts. The supplier expo at Annual Connection makes up a big part of the event and represents great opportunities for businesses to promote themselves within the industry, as well as for networking with key industry stakeholders, decision makers, and potential employees. The third major part of Annual Connection is the Excellence Awards, in which finalists compete for honours in five categories: Distribution Trainee of the Year, Telecommunications Trainee of the Year, Investing in Youth Training and Development, Generation Trainee of the Year and Advanced Trainee of the Year 2018. Winners from the Distribution, Telecommunication, Generation and Advanced categories will also be eligible for the 2018 Overall Trainee of the Year. That person will be named the industry ambassador for the next 12 months. Frances says, “It’s really great to be able to recognise the successes of individuals who have worked extremely hard over the past 12 months, either on their own training or creating a supportive training environment. The photos were taken at Annual Connection 2017 at Mystery Creek, Hamilton and shows teams in action during the three days of competition.